New Delhi, January 1 (Asia Times): Bhutan, the only “carbon-negative” country legislatively bound to maintain forestry grounds on more than 60% of its territory, is also known for its gross national happiness (GNH) approach to development and lifestyle. The country had its first parliamentary elections in 2007-2008. China’s illegaloccupationof Bhutan’s Doklam Plateau was less to give depth to its defenses in Chumbi Valley and more to exploitBhutan’s geo-strategic location to dominate India’s Siliguri Corridor and to outflank the defenses in the Indian state of Sikkim. Mao Zedong maintained, “Tibet is the palm of China, and Ladakh, Nepal, Sikkim, Bhutan and NEFA [North-East Frontier Agency, present-day Arunachal Pradesh] are its fingers.” When it invaded Tibet, China also occupied eight western Tibetan enclaves under Bhutanese administration. 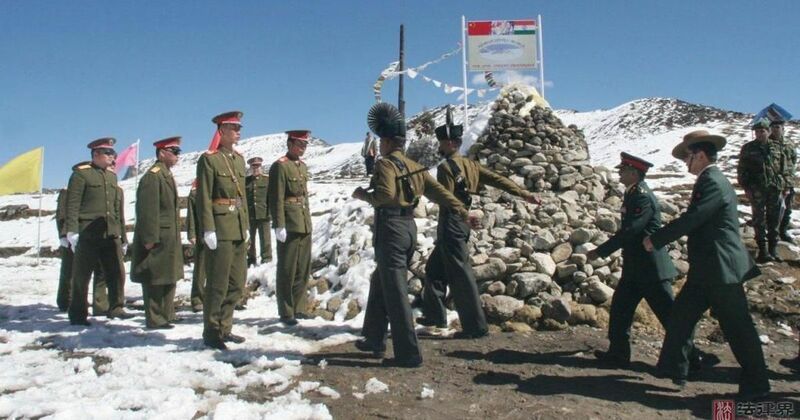 The irony is that China claims India’s Tawang Plateau on religious grounds for Tibetans, but continues illegally to occupy the Indian enclave of Minsar, near Lake Manasarovar, which is important to pilgrims, and the Bhutanese enclaves of Darchen and Labrang near Mount Kailash. The Tibet Autonomous Region shares a 470-kilometer border with Bhutan and China. It has been perpetuating territorial disputes with Bhutan, making extended claims, since the border is not demarcated. Taking over Bhutanese territory is part of Chinese strategy along the Himalayas. Long before China’s illegal occupation of the Doklam Plateau, the People’s Liberation Army had been barging into the area to show its presence. India could have sought to purchase the plateau, which is the property of the king, or proposed a joint India-Bhutan development project there, but did not. China violated an agreement with Bhutan not to violate the status quo until the border is settled, and intruded into Doklam to commence road construction. This led to Bhutan issuing a demarche to China on June 20, 2017. During the India-China Doklam standoff, Luo Zhaohui, Chinese ambassador to New Delhi, audaciously “warned” India, while his No 2 rushed to Bhutan to woo the royals and the political hierarchy. China and Bhutanhave no diplomatic relations but in July 2018, Chinese Vice-Foreign Minister Kong XuanyouvisitedBhutan and held talks with the king and the prime minister. The two sides reached a number of agreements and resolved to settle the border issue, and Kong also invited Bhutan to join China’s Belt and Road Initiative. Kong’s visit was timed just before the next parliamentary elections in Bhutan. China has already changed the territorial status quo by intruding into the Doklam Plateau, forcing India’sboundarywith Bhutan to become Bhutan’s de facto boundary with China – a change China apparently planned at least four years before entering Doklam. In the October parliamentary elections in Bhutan, Lotay Tshering became prime minister, his Druk Nyamrup Tshogpa (DNT) party having won an overwhelming majority. It is very likely that Lotay Tshering’s victory was engineered by China, since Tshering indicated his China leanings in his pre-election statements. Bhutan has assiduously worked to retain its culture and identity, but the Chinese are adept in political and economic warfare, far more advanced than India, and have loads of patience and time. How they will use Lotay Tshering to further their national interests will need monitoring. As Bhutan opens up to private-sector investments, China can be expected to pounce at every opportunity. India has traditionally had good relations with Bhutan and maintains a military training team in the country. But India’s foreign policy with respect to its immediate neighbors has mostly been complacent as compared with China’s aggressive approach. If India-Maldives relations witness a reset, it is a stroke of luck for India that the government changed in that country, although China has debt-trapped Maldives to the tune of US$3.2 billion and will not let go easily. India has indulged in such actions as withdrawing subsidies for gas and kerosene in the past, which resulted in Bhutan being hit by high fuel prices. India’s imposition of the goods and services tax (GST) in July 2017 brought Bhutan’s 650-million-rupee ($9.3 million) cardamom trade to a complete halt due to knots in official Indian formalities, leading to large-scale illegal cross-border trade. Such acts hardly align with India’s “Neighbors First” policy. Bhutan has requested that India take cardamom out of the purview of GST. Apparently there is no response from India even though granting this request could hardly dent the Indian economy. New Delhi is content that Bhutan is dependent on India for trade, but it took similar consolation with respect to Nepal. YetNepalis now in China’s thrall. In addition to investment in development projects, China will be angling to establish road and rail communications with Bhutan. It is time that India fine-tuned its foreign policy accordingly.